The recent focus on Ebola in West Africa has reminded us of the need for strong and resilient health systems. Behind every quality health system is an army of available and accessible health workers. However, in facilities and communities across the globe, health worker vacancies and weak support systems hamper achievement of health goals and threaten overall preparedness for future infectious diseases. In most countries with a high HIV burden, health work force shortages are commonplace and create significant barriers to combating the epidemic. Much has been accomplished. USAID is incredibly proud of its significant contributions to PEPFAR’s (the U.S. President’s Emergency Plan for AIDS Relief) achievements in strengthening the health work force to deliver quality HIV services. On World AIDS Day, Secretary Kerry announced that PEPFAR has exceeded the target of 140,000 new health care workers, which was mandated by Congress in 2008. This is a great milestone not only for PEPFAR, but also for the broader global health work force agenda. A strong health work force composed of both facility- and community-based workers is essential for achieving an AIDS-free generation. Health workers are key to making sure that people living with HIV access the appropriate services at the right time, ensuring effective linkages across HIV services and clients’ continuum of care. Health workers also play a critical role in providing HIV services to vulnerable populations, including children, adolescents and other key populations. 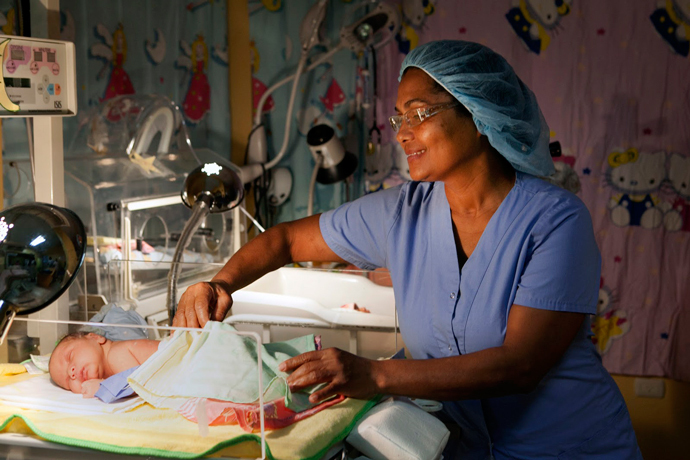 USAID has an extensive history in training and educating health workers. For the last decade, the Agency has been at the forefront of advocating for a growing focus on the health work force in the global health agenda. USAID has also supported a breadth of innovative program models that have made immense contributions to the health worker target. For example, USAID and the Touch Foundation created a PEPFAR-supported public-private partnership in Tanzania to expand training of health workers and strengthen management capacities of the Catholic University of Health and Allied Sciences and Bugando Medical Center. Through this partnership, student enrollment has jumped from 277 students to over 1,800 across 14 different health worker cadres—a sixfold increase since 2004. Enrollment of medical students alone increased from 10 to 750 students over the last 10 years. The program has also focused on strengthening deployment of graduates to underserved rural areas with the highest prevalence of infant and maternal mortality, HIV and malaria. With 96 percent of medical doctors trained in the program still employed in the Tanzanian health system, the program has become a model for achieving high graduate placement and retention rates. However, there is still work to be done. Significant health work force shortages remain and systemic challenges continue to impact the support needed to enable and sustain health workers’ delivery of HIV services. The new PEPFAR Human Resources for Health (HRH) strategy highlights the need to overcome these barriers. USAID continues to contribute to PEPFAR’s health work force investments by building upon and leveraging past contributions and advancements that span beyond training and include health worker deployment, retention and management. Assess HRH capacity needs to deliver HIV/AIDS services. Support adequate supply and appropriate skills mix of health workers to deliver HIV/AIDS services. Establish recruitment, deployment and retention strategies to ensure a consistent and sustainable supply of trained health workers. Establish sustainable financing for health workers, which ensures adequate local financing for health workers that provide HIV/AIDS services and sustained capacity for sites where PEPFAR salary support has been transitioned. Improve health worker performance for service quality. We often, and rightly so, think about our impact from the perspective of the clients we serve. But it is also important to see through the lens of the health workers who have devoted their lives to serving others and have worked tirelessly in mediocre conditions. What is preventing them from doing their jobs effectively? What additional support do they need? That perspective may help us get one step closer to achieving an AIDS-free generation. 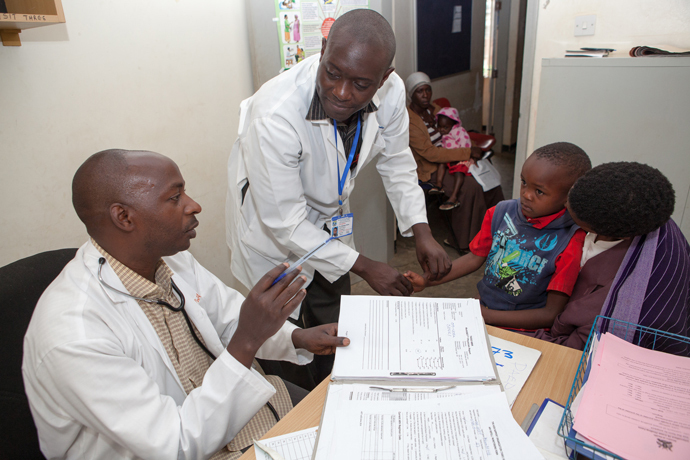 Check out more on USAID’s work in HIV and AIDS and health systems strengthening.